Reports appear on media, British officials said Al Qaeda is “resurgent” and is determined to attack Europe with airplanes and drones packed with chemical weapons, laptop bombs may evade airport security or with some new tech on passengers planes . 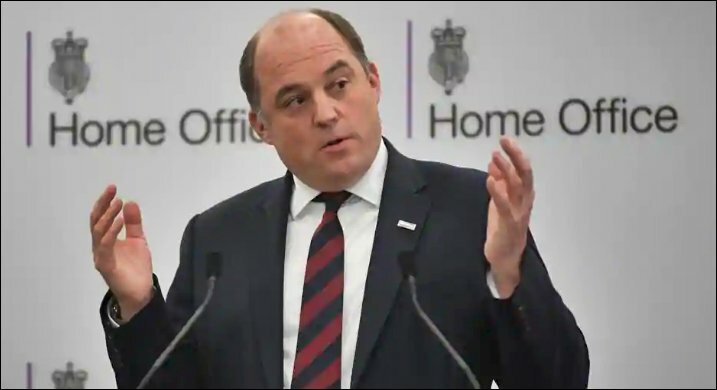 UK Security Minister Ben Wallace has warned that Al Qaeda is planning to carry out terror attacks on passenger planes and airports in Britain. In an interview to a British newspaper, Wallace said, Al Qaeda is aspiring for aviation attacks and developing technology to bring down airliners. He said, Al Qaeda is pushing more and more plots towards Europe and have become familiar with the new methods. The warning comes after sightings of multiple drones at Gatwick Airport which led to cancellation of several flights and triggered security concerns in the country. Wallace said, Al Qaeda and its affiliates are now active in Syria, Afghanistan, Yemen, Libya and other countries in the Middle East under a new generation of leaders. He said, British intelligence chiefs are concerned about US President Donald Tump’s decision to pull out troops from Syria and said that it will create a new safe haven for Islamists to launch attacks on the West.